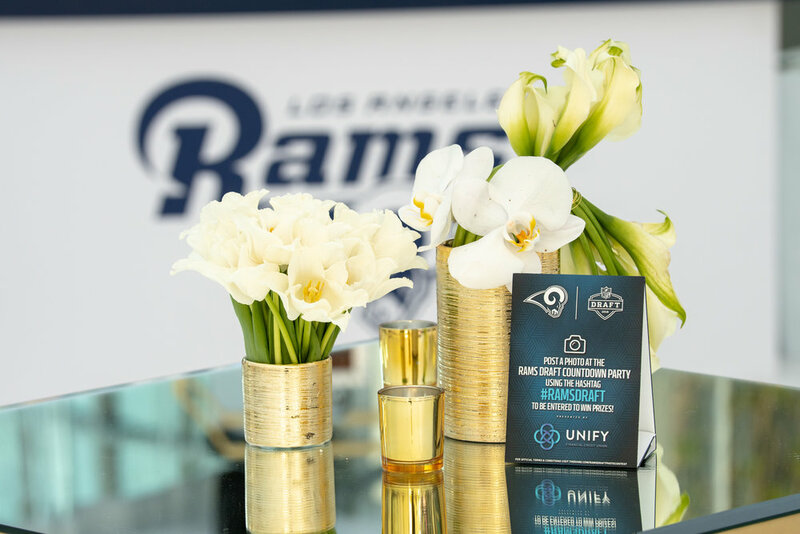 Wife of the Party put their “Horns Up” for the Los Angeles Rams draft party at The Broad art museum. 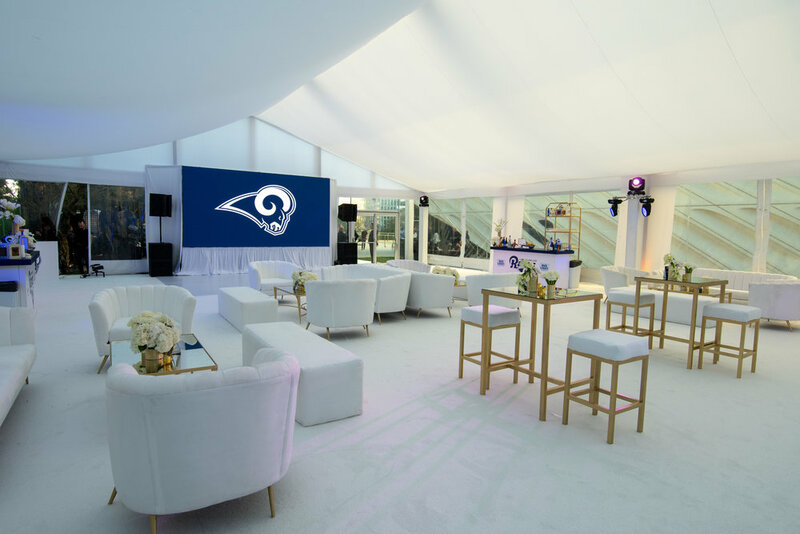 A large white tent was erected in the center of the outdoor space; inside the structure was a gorgeous all-white affair complete with carpet installation and dance floor. 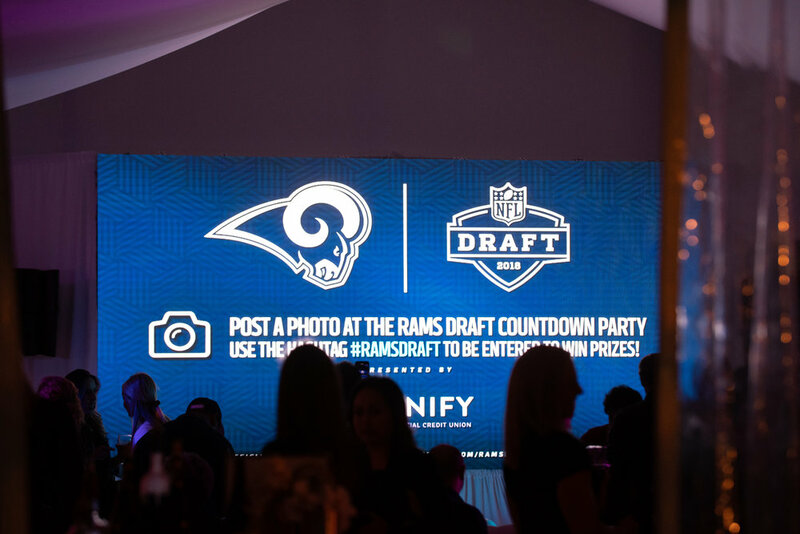 A huge LED screen was on display to easily watch all the live interviews, whilst ivory-hued lounge areas arranged with plush furniture made the evening comfortable for revelers. Glossy white bars in each of the four corners offered a variety of delicious concoctions to complement the delectable fare being tray passed from neighboring restaurant Otium. Since the event was an extremely private event, the Wife of the Party team was up to the task of creating a lovely space that was also tightly secure. 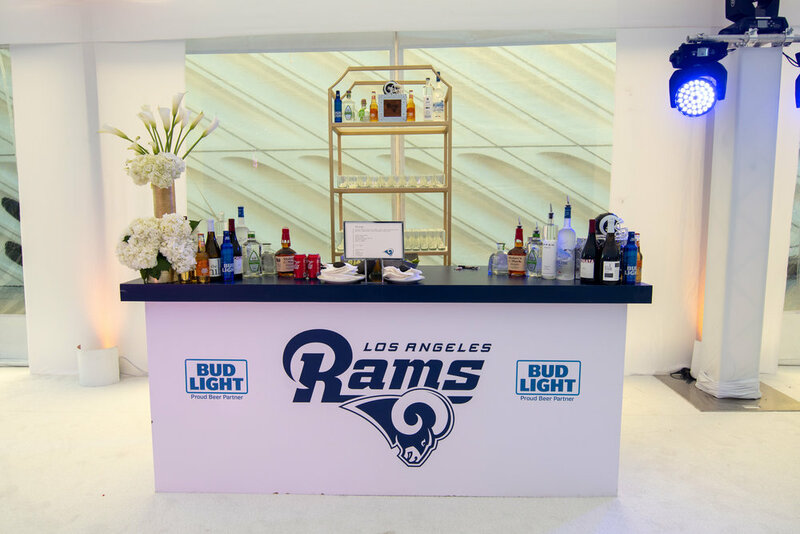 We selected tall hedge walls, birch wood makeshift walls, and numerous custom cutouts of the Rams motif. Small collections of vanilla florals, including roses, hydrangeas, and tulips placed in gold vases were placed throughout and surrounded by candlelight. The décor scheme was clean and modern with an inviting ambience -- perfect for a spring evening! 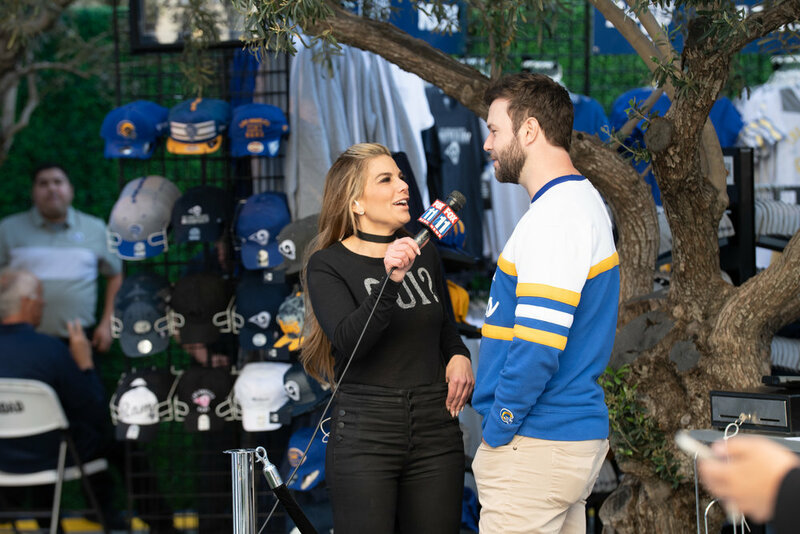 The Rams cheerleaders entertained guests with a dance performance, while the team’s starting roster mingled with the organization’s executives and fans alike. 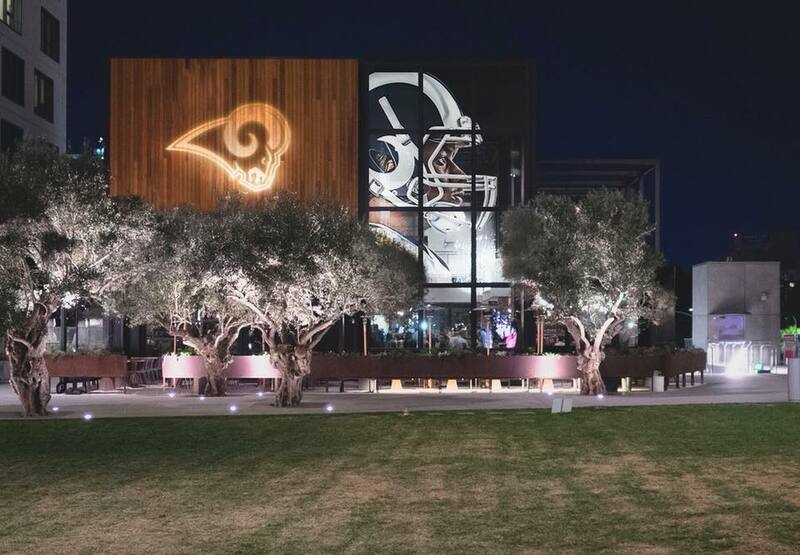 It was a great time for all and we are so thankful to the Rams, Hwood Group and the teams at Otium and The Broad.